Specializing In Spectacular Owners Jim & Tom Reed are Prescott natives who strive to honor the family name and reputation. With over 50 years of combined remodeling and construction experience, you can be sure you will be in the good hands of honest people who will settle for nothing less than your complete satisfaction. Tom's increased role in the company has made us even stronger and more qualified to be your home renovation experts. We are proud to announce that after almost 16 years HR Quality Homes has changed its name to Reed Brothers Construction. Our commitment to craftsmanship and service has earned a stellar reputation in the Home Construction, Remodel and Addition market place. Our commitment to exceptional quality work and outstanding customer service is second to none. We guarantee to not only meet, but exceed your expectations. We believe It’s ALL about how you finish. There are plenty of qualified contractors you can hire to complete your project. What makes Reed Brothers Construction different? So many builders are excited to start, but by the end just can’t wait to be “finished”. This is what separates us from our competition. We take great pride in finishing just as strong as we begin. The final details at the end of a project are what take it from fine to fantastic. If your just looking for someone to get the project done we aren’t the firm for you. If it’s all about the details and that wow factor that most can’t put their finger on then you have come to the right place. We aren’t satisfied until the finest of details have been addressed. After almost 15 years in business and over 200 completed projects in the Prescott Arizona area we are the Contractor of choice for those who want nothing but the best. Board by Board is a builder of fine custom homes, remodels, and the “seamless addition.” We are located in beautiful Prescott, Arizona. With over 27 years experience in custom residential, Board by Board is a company you can trust. You have our guarantee of superior quality, bringing your dreams to life is what we are all about. Call us at 928-442-1387 if you would like to discuss your project. Robert and Christie Board are a husband and wife team. Each brings a variety of talent and skill to your construction project. Robert Board has over 27 years in the Construction industry. His attention to detail has set him apart year after year. Robert has recently become the first contractor in the state of Arizona to be a Green Verifier for the NAHB. With a degree in Kitchen and Bath Design, Christie has a long history in the design industry. She is the only CKD & CBD in the Quad city area. We work with you each step of the way, from initial lot walks, through design phases, interior finishes, and complete construction supervision. Hi, my name is Jeffrey Zucker. I became an architect because I believe that people can and must create an enduring and positive effect upon the planet. I envision a world that is enhanced by the presence of good design, and it is my mission as an architect to contribute to that vision with each and every project that I am involved with. My tools are a commitment to the environment, a unique ability to listen, and a passion for excellent design. From my first passive solar house which was dedicated to American Energy Independence in 1976, through four decades of involvement with Arcosanti, to the founding of Northern Arizona’s first Cohousing Community, I have remained steadfast in my commitment to creating Architecture which is ecologically responsible, environmentally responsive, and aesthetically remarkable. If these are causes which call to you, then I invite you to join me in the act of creating Architecture. I've been active in the field of sustainability and energy efficient design since the early 70's, having designed and built my first solar dwelling, fondly referred to as "the Football" completely out of recycled materials in 1974 for a total cost of $37.43. In 1976, I began the construction of the Stone House, a passive solar dwelling featured in “The Cabin Book” by Linda Leigh Paul, published by The Universe Press. My first home in Prescott, Arizona, received a citation from the Energy Efficient Building Association (EEBA) for residential construction. More recently, my commitment to conserving resources and fostering community has led him to create the first Cohousing Community in Arizona: Manzanita Village of Prescott. Most recently, I was retained to provide sustainable consulting expertise for two large-scale master planned communities in Nevada. 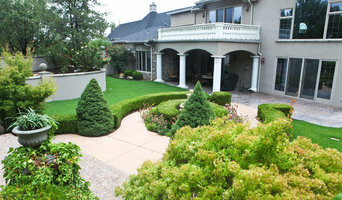 Looking for Prescott Landscape solutions? Look no further than ZebraScapes Landscaping & Services of Prescott, Arizona. Serving Yavapai County, count on us for recurring landscape needs such as shrub trimming, winterization of irrigation systems, and additional stone for your rock xeriscape. ZebraScapes Landscaping & Services is your best option for all of your landscape planning needs. Specializing in planting of trees, shrubs, and low-water plants, ZebraScapes can provide long lasting, low maintenance solutions to any lot or acreage in Prescott, Prescott Valley, Chino Valley, and Dewey. Irrigation systems are key to any successful Arizona landscape. Ask us for a free replacement or upgrade estimate on a custom system for your home or business. We will tailor your landscape maintenance to your schedule. Whether you need maintenance completed on a monthly, bi-monthly or weekly schedule. Todd Marolf earned his Bachelor of Arts in Architecture from Iowa State University before founding Headwaters Architecture in 1995 to assist clients in realizing their architectural dreams in northern Arizona and the Phoenix metropolitan area. Headwaters incorporated in 2000. The foundation of our business is our ability to listen to our clients in order to understand exactly what they require. If a client isn’t certain about what they want, we’ll ask them to explain their goals so we can make recommendations based upon these needs. Before we commit one keystroke to planning a new project, we want to be thoroughly informed of our client’s expectations. The practice of ‘listening to understand’ allows us to fulfill on client needs, so they can occupy their structure for years to come. What sets us apart is our ability to integrate your needs into your residential or commercial space, so it serves you for years to come. You don’t need to know specifically what you’d like to construct—it’s more important for us to understand your goals. So, even if you’re not sure, we can provide you with options to meet your architectural needs. This way, you can explore a wider range of solutions. When you choose Headwaters Architecture, we are closely involved in every phase of the project – planning, design, build. If you require site selection and inspections we’re qualified to assist you, and can build a structure that fits your property’s unique characteristics. And, our long history of working in northern Arizona and the Phoenix metropolitan area has an advantage when it comes to many things, including getting your project approved prior to construction. Our on-going relationships with government agencies mean that your project is swiftly approved. It’s a distinct point of pride that most of our new clients are referred to us by other clients, and we have many returning customers. While with a prior firm, we’ve earned awards for our excellence in design including the International Illumination Design Award for our work on the Ahwatukee=Foothills Medical Center. Ask us how we’d fulfill your architectural goals and you’ll understand how Headwaters has elevated architectural design to meet customers’ needs since 1995. Providing unparalleled and timeless design, with dedicated service and professionalism. Nanke Interior Design Group is an unprecedented team lead by Creative Director, Jared Nanke, Head Interior Designer, Roseanna Kass, and Interior Designer & Decorator, Amber Tiede. Together this team draws upon their diverse backgrounds and experiences to curate and assist in realizing the vision for your home. From Planning and conceptualizing through to completion, our team provides a comprehensive project management approach unique from any other interior design firm. In this way, we provide the greatest value and protection of the stakeholders, ensuring peace of mind for the owner. Established in 1998, Bella Construction Inc. is a General Contracting Company that has been building custom homes, remodeling and doing commercial tenant improvements in the Prescott area since 2005. Owners, Chris and Marie Larson, bring a unique combination of construction experience and the Real Estate industry to their clients. Bella Construction Inc. is committed to providing their clients the best service utilizing their expertise and working with trades of high quality to deliver a product like no other. Ability Remodeling is a Design Build Residential Remodeling company with the ability of helping homeowners with projects like Kitchen and Bathroom Remodels; Room Additions; Guest Houses; and, Whole House Makeovers. 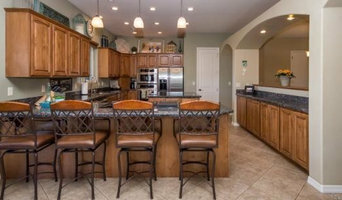 Mike Daniel, Founder of Ability, has been performing award winning remodeling projects in Arizona for nearly 20 years. He is an elite in his field being recognized as a Master Certified Remodeler (MCR) by the National Association of the Remodeling Industry (NARI); one of only 80 in the entire country. He would love the opportunity to discuss how Ability can help with anything you may need, or want, around your home. 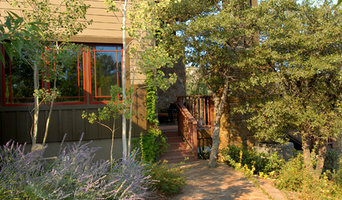 Arizona Woodworks is a Prescott based company serving all of Arizona. We specialize in custom built cabinets, mantles, furniture, and commercial woodwork. Matt Greenlee founded Greenlee Stone and Tile Works in 1997 after working in the tile industry for more than five years. 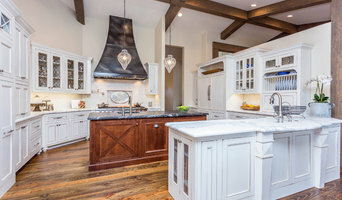 He got started in flagstone installation and tile for custom residential customers and found that he loved both the work and the challenge of creating a truly beautiful, quality product. In the fall of 2011, Greenlee moved his company to the Prescott Design Center on the north side of the Prescott Airpark, where he works alongside ten other home improvement companies. Even if you're the kind of person who makes everything a DIY project, there's always a point when a home remodeling or decorating project could use a professional set of eyes. Whether you are redoing your backyard, need some help planning your living room or can't figure out where to put the kitchen sink, a quality home professional in Prescott, AZ can help you do it right. Hiring a qualified Prescott, AZ home professional puts their years of schooling, certifications, training and experience right at your fingertips. But before you start sending out dozens of emails and making phone calls, sit down and think about your project. What's your budget? What is the scope of your project? Will you need more than one type of professional to complete your home improvement project in Prescott, AZ? Can you afford to complete the full project now, or should you tackle it bit by bit? Once you've settled on your project’s priorities, budget and scope, it's time to start researching Prescott, AZ home design professionals. Don't sell yourself short and settle on the first professional you set your sights on. Make sure that you're working with someone local, who can get to the jobsite easily and efficiently. Look into the person’s reviews, ask to speak with former clients and to see previous jobs in person. Take a good look at their portfolio photos: How similar are these projects to your own? Be honest — that mansion might look beautiful, but it might not have a lot in common with your little bungalow. Reach out to multiple professionals — especially for larger projects — and don't settle for the first bid you hear. Comparing multiple Prescott, AZ professionals' bids and experiences can help you find the one that’s best for you. Ask a lot of questions now, so you won't have unexpected answers later. Find a home design professional on Houzz. Narrow down your search by type of professional and location. Browse Prescott, AZ portfolio photos, read client reviews and contact each Prescott, AZ professional for more information. Check out the information in the specialized professional sections too for tips on how to hire the right professional for your project.